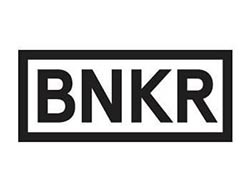 Save on your purchase from BNKR with a BNKR coupon code. Taking the lead when it comes to directional Australian designs, BNKR is your online fashion destination, stocking the full ranges from C/MEO COLLECTIVE, Finders Keepers, Keepsake, The Fifth Label and Jaggar Footwear, as well as a wide variety of amazing accessories. With a new collection dropping every week, you have continuous access to the freshest fashion – so you’re always ahead of the curve.